One of the nice consequences of our recent Mediterranean cruise is that I got to read a decent amount. I’ve done my usual brief reviews below. These reviews use a scale of 5 stars based on Library Thing. I am generally a tough grader, but these books were all very good. I read all of them on a Kindle or with the Kindle app on my iPad or iPhone. Last year I read, and was very impressed with, The Gospel According to the Earth: Why the Good Book Is a Green Book by Matthew Sleeth. It does a wonderful job of giving both practical and scriptural basis for the book’s subtitle. His wife Nancy’s book covers similar ground, but from a different perspective. Again, the book’s subtitle does an excellent job of describing the book. The basic premise is that the Amish way of life is an instructive one. Rather than just accepting every technology, wanting every possible thing, and living life on the terms decided by the media and the world, we need to choose which of each of this things to include in our life. The Amish life is a much simpler life, though arguably richer than our lives. As the title implies, Sleeth thinks we don’t need to be Amish, but instead to apply those principles. She gives examples that show how she and her husband have attempted to apply Amish principles to how they live their lives. I plan to be seriously thinking about how to apply some of these concepts to my life. I think I’ll start with an easy one and give any clothes I’ve not worn in over a year to Goodwill. I would recommend this book to anyone who feels the stress and strain of modern life. The basic question this book tries to answer is what were the Americas like before Columbus and the Europeans arrived. The book pulls together lots of resources to argue persuasively that the year 1491 is not at all like what we usually imagine. Mann contends that the population of the Americas was vastly larger than we once thought and that the Indians were not just hunter/gatherers living in harmony with nature. Instead, they transformed their environment on a massive scale. Rather than just farming vegetables, they farmed trees and entire ecosystems. He contends that much of the Amazon rainforest was actually created by civilizations we know very little about since the climate and geography mean that traces of them are hard to detect. The reason that we think of the native population of the Americas so differently is because European illnesses (and other external factors like weather changes) caused a rapid and massive population collapse, potentially over 95% of the population in 1491 was gone in the next century or so. For example, when the Pilgrims landed, there were few Indians there. The Pilgrims were able to use lands that had been farmed by Indians when they were more numerous. His conclusions are fairly controversial, but he makes them very well. If you are at all interested in American history or anthropology, this is well worth your time to read. This book attempts to look at the creative process. For me, I read this largely through the prism of what I and my company should do to foster creativity in our workplace. Lehrer looks at creativity through individual examples, like Bob Dylan, as well as the latest in neuroscience and psychology to try and understand the creative process. One of the big takeaways for me is the importance of allowing the brain time to wander. This is related to the phenomenon of having great ideas in the shower. As the author himself would probably agree, I need to let the ideas in the book percolate a bit before deciding what to do with them. I would recommend this book to anyone involved in work that requires creativity and who is willing to think about the best way to maximize creativity. Arguably, pretty much everyone and job would be well served by more creativity! This book is a fascinating look at the development of money from shells to coins to paper money to today’s complex financial instruments such as the famed credit default swaps at the center of the recent financial meltdown. All of these are levels of abstraction that allow for easier transactions. Without them, we would be trying to pay for our iPhones with carts full of grain. What Ferguson does is walk through the development of these financial innovations and show how they happened, how they work, and the impact each had on history. I enjoyed the book, but it was at times a bit of a chore to read. If you like history and would like to learn more about finance, this book is worth reading. As to what I’m currently reading, the six I’ve read at least a chapter of in the last couple of weeks include It Happened on the Way to War, The Intolerance of Tolerance, The Philosophical Breakfast Club, Everyday Missions, The Optimism Bias, and The Narcissism Epidemic. Yes, I do read an odd selection of books! 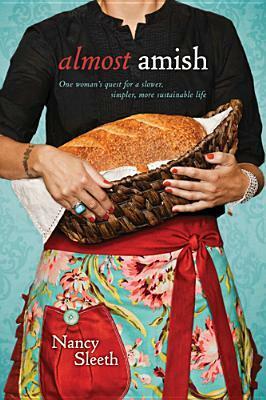 Thanks for the review on "Almost Amish"...I think there's some type of way to borrow it right from kindle to kindle (or am I making that up? )...I'd love to check it out if I can. "Imagine" is definitely one I'm going to try and read. Thanks for the reviews!